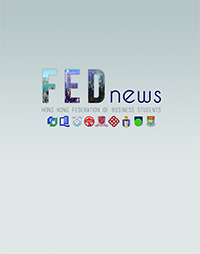 FEDNEWS 2013 introduces the Federation and functions to our members. It also provides business information and interviews with business elites. We are honored to have Ms. Rainy Chan, General Manager (GM) of The Peninsula Hong Kong, Ms. Josephine Lam, Managing Director of sky100 Hong Kong Observation Deck and Mr. Raymond Tsui, the Director of the Holly Brown Company Limited to share their insights with us.